One of moms’ greatest fears seeing her family sick. That is why it’s understandable for other moms to be OC when it comes to household cleanliness. Today, I learned about Mysophobia which is the fear of contamination and germs. And for someone who grew up in a small town who was too exposed to dirt and germs, I can 100% say that I don’t have this kind of fear. It doesn’t seem worrisome, right? However, if mysophobia cannot be controlled, it can lead to depression, social isolation, and anxiety. The good news is this can be treatable by a few sessions with a mental health professional. 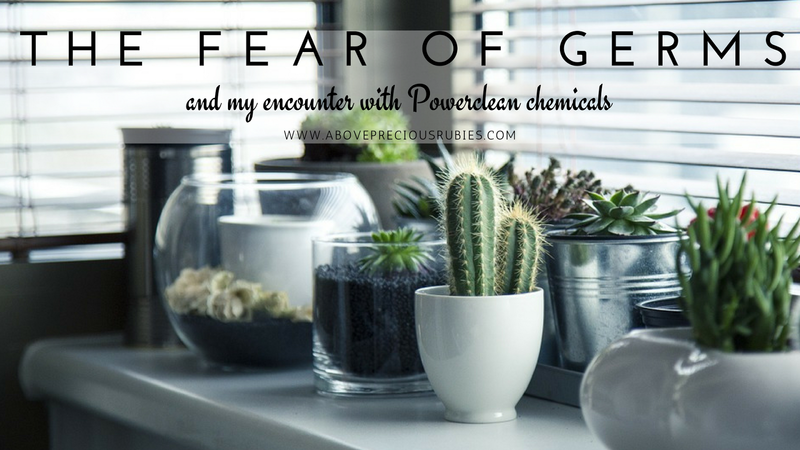 I’m talking about this because, almost two weeks ago, I learned about the different kinds of germs through the event that we had with PowerClean chemicals. As we all know, there are germs that can be seen by our naked eyes and there are those that we can’t. So it’s important to not just clean but also disinfect. Powerclean is one of the brands carried by Oxychem Corporation for basic cleaning solutions. This brand primarily caters to cleaning chemical products for laundry, housekeeping, restaurant, car cleaning, spa, and swimming pool. However, for a period of time, it evolves to become a “One-Stop-Shop” of Cleaning Chemicals, Supplies, Equipment, Pest Control Services and Cleaning Services. Powerclean has been in the market for more than 12 years since it was founded on 2004. It has already gained the trust and confidence of the majority of laundry shops, restaurants, car wash, spa, offices, and households nationwide. 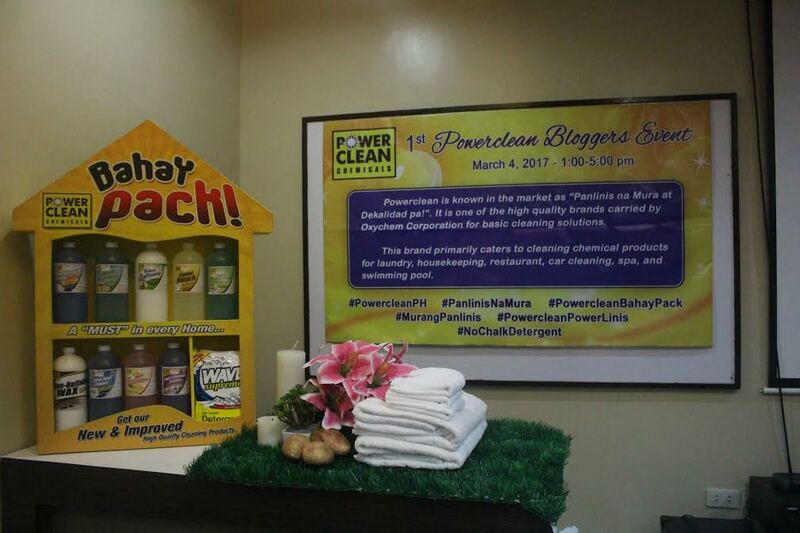 During the event, we were introduced to Powerclean Bahay Pack. Powerclean Bahay pack is every mom’s household help. This set is so affordable too, with no more than 700 pesos, you already have the set of detergent powder, toilet bowl cleaner, multi-purpose cleaner, air freshener, wax, liquid bleach, liquid detergent, dishwashing liquid, fabric softener and liquid hand soap. Thanks to Powerclean, we were given freebies so we can personally try them out. here are my two cents on the products that we received and tried. Wave Supreme Detergent Powder – this was the first product that we were able to try. This product works almost like the brand that we are currently using. In fact, even the texture is almost the same. If there’s one thing that makes this better than the product we use at home, it is the fact that this product is a lot cheaper. Powerclean liquid bleach – I have used this product for removing stains. Just like other bleach that we have tried, Powerclean liquid bleach helps remove stains. The smell of the solution reminds me of the clorox my mother was using when we were still young (the one sold at the stores in small packs for 1 peso each). It surely smelled like it and the smell can stay longer on the skin. Powerclean liquid hand soap – I like how this product smells on my skin. Even though I can’t say the smell is long lasting, however, it did not dry my hands after application. With the participants during the event. Photo from Powerclean. I don't have this phobia because no matter what we do, germs are everywhere. We cannot see it but it is there so it is really important to have a clean environment. I always have wipes and hand sanitizer wherever I go so I can clean my hands if water is not available. I've yet to meet anyone with this phobia, but I've seen it in the movies often. I heard of someone with this that he doesn't like shaking hands and feels it non-hygienic. I guess you can't be offended by someone with a disorder. It is. And it's also 'very' affordable. That is true! Mejo nakakatakot din pag may ganitong phobia. lol. That is true! Good thing it is curable, no? Parang ang hirap din. It was the first time for me, too! Usually daw bulk orders sila, must be why. hehe.